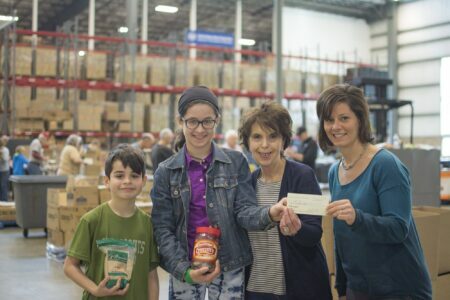 By naming Greater Pittsburgh Food Bank as a beneficiary in your will, IRA or insurance policy, you will be offering your support for families facing hunger for years to come. Consult with your attorney to include such a provision in your will using our legal name, Greater Pittsburgh Community Food Bank. If you have included the Food Bank in your estate plans, please let us know so that we can properly thank you and recognize you for your lasting generosity. We welcome the opportunity to discuss with you and your attorney or financial advisor the many options available to meet your charitable objectives and provide for your loved ones. For more information, please contact Traci Weatherford-Brown at 412-745-6455 or by email at traci@pittsburghfoodbank.org.